So, clearly I love popsicles. 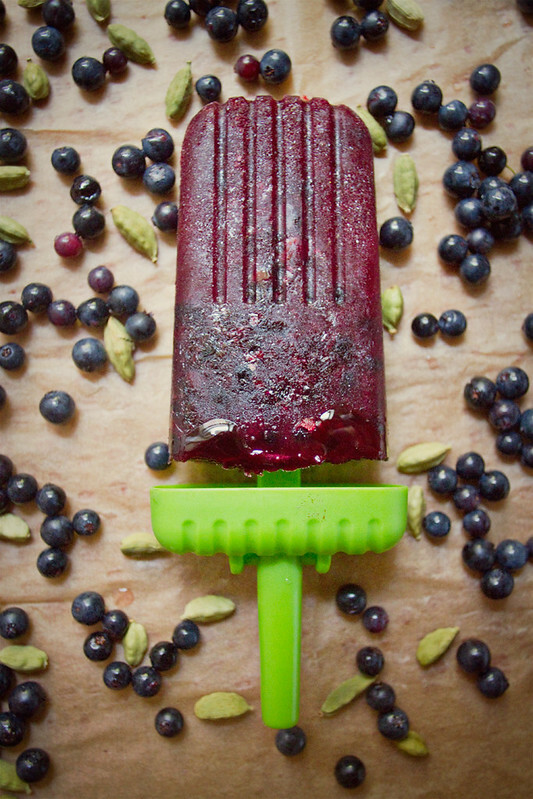 I've done beet pops, and honeyed peach yogurt pops, and now I am bringing you these blueberry gems. I just can't resist- it's hot out, I have these lovely popsicle molds, and it's so easy to make lovely, delicious frozen treats. 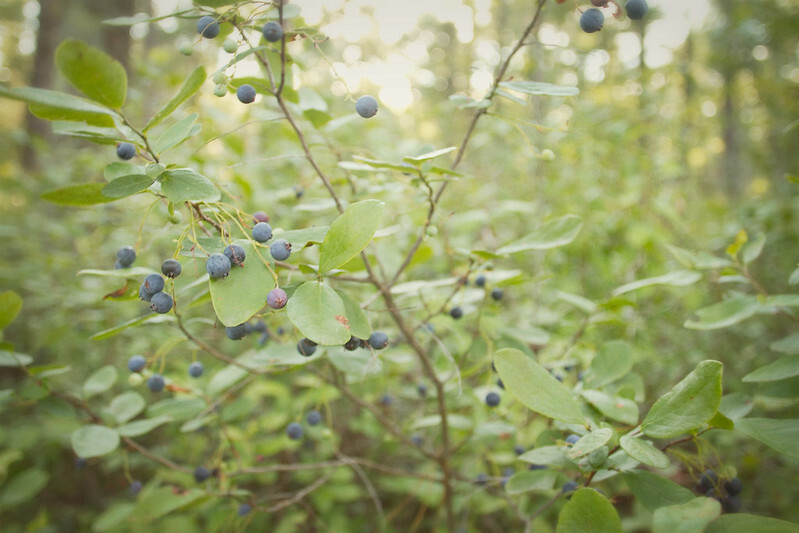 Also, S and I went camping in the New Jersey Pine Barrens last week and our campground was absolutely full of blueberries. Naturally we picked about 4lbs of the delicious little berries. They are heavenly, tiny little things, reminiscent of Maine blueberries. I froze half of them intact, to save for winter along with the frozen cherries and peaches we picked earlier in the season. 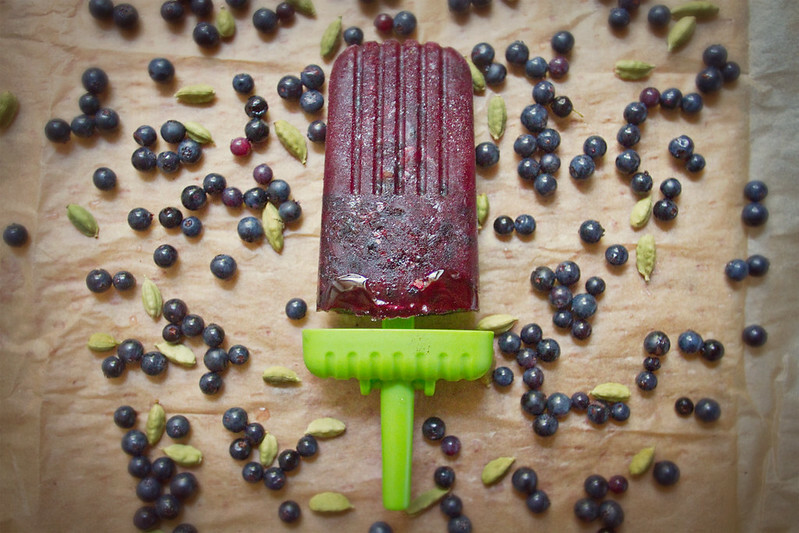 Some berries we ate plain by the handful, staining our hands and mouths purple, and some I turned into these Blueberry Cardamom Lemonade Popsicles. They're sweet and tangy and the cardamom adds a lovely spice twist. 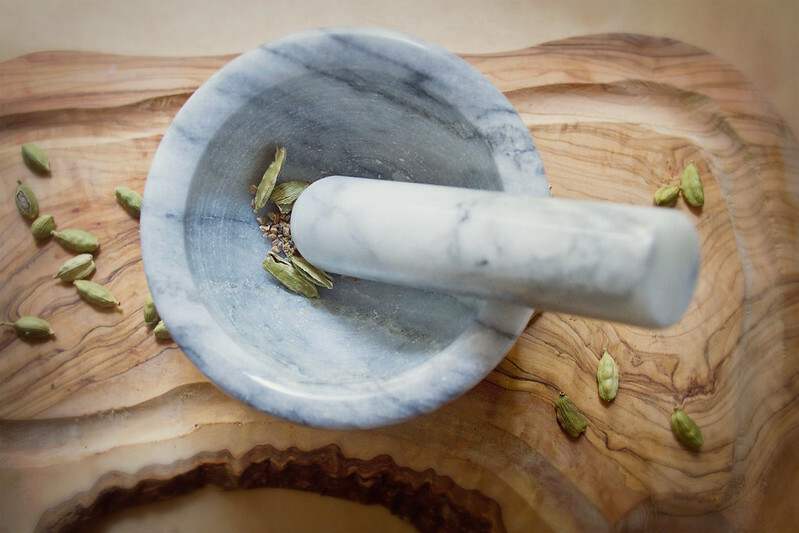 I love cardamom. It has a heavenly smell as you grind it, each pod is incredibly aromatic. In truth, I already have another batch (or two, or three) of popsicles planned for the coming weeks. Actually, there is a new flavor combination in my freezer right now. I am definitely a popsicle addict. Crush cardamon pods with mortar and pestle and add to small saucepan with water, sugar, and honey, bring to a boil then reduce to low heat and simmer about 10 minutes, stirring occasionally to allow the cardamon to infuse into the honey and water mixture. 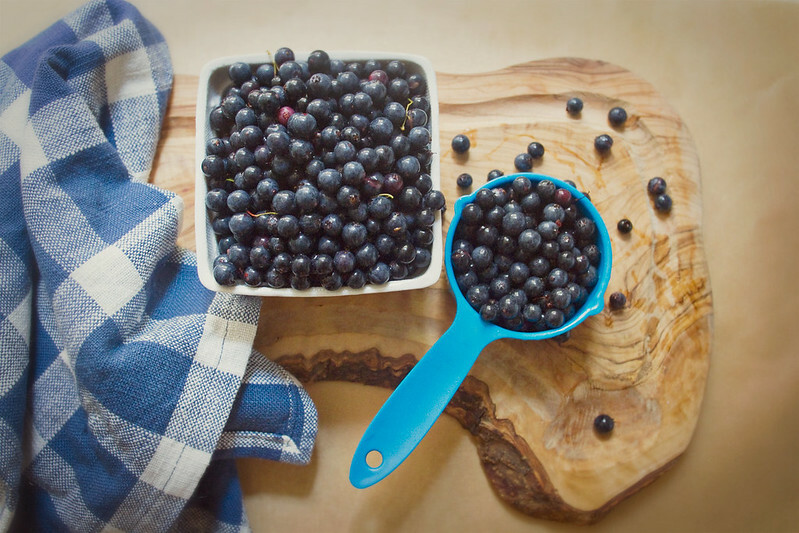 After 10 minutes, pour the honey water through a fine strainer into a heat safe bowl or large measuring cup, to strain out all but tiny pieces of the cardamon, then return the honey water to the sauce pan and add the blueberries. 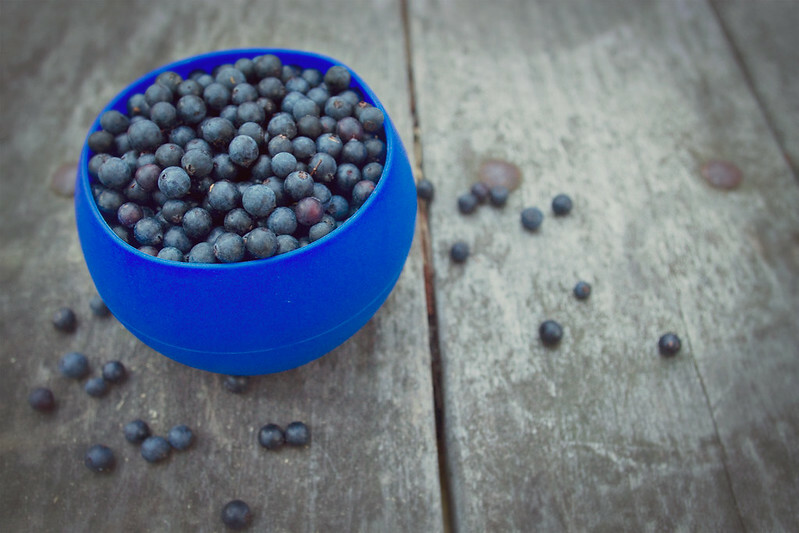 If using frozen blueberries you may want to set some aside to add back into the popsicles whole, if using fresh blueberries, some of your berries should hold their shape on their own. Turn heat to medium and cook, stirring often for about 5 minutes, or until many of the berries have split and the liquid is dark purple. Remove from heat and add the lemon juice. Stir well, then allow to cool a bit before filling the molds. 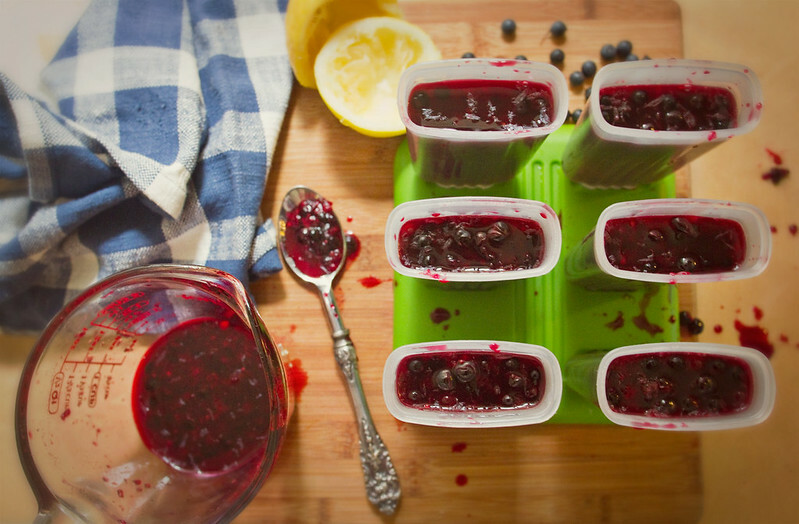 I find a standard measuring cup works well to fill the molds, but the little blueberries will splash around a bit no matter what while you fill. The reason I allow my mixture to cool before filling the molds is to avoid pouring hot liquid into plastic molds, but if you have metal molds then you're lucky, and also probably fine to fill them while the mixture is hot. Make sure to leave some room for expansion while the pops freeze. Freeze for 8-10 hours. If your molds are anything like mine I recommend running hot water over these for bout 30 seconds before removed from mold. Have a Delightfully Delicious 4th of July!